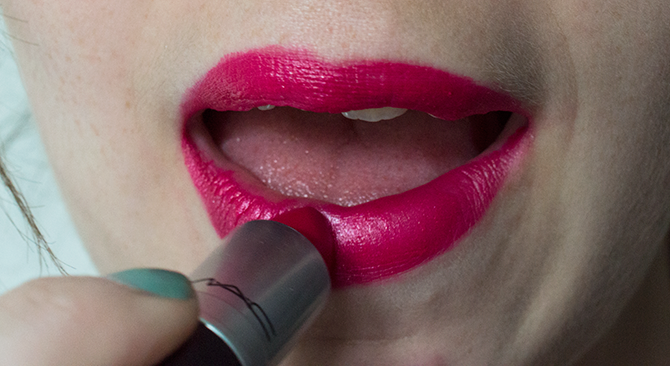 Just like your skin, you should always prime your lips before applying a bold colour. 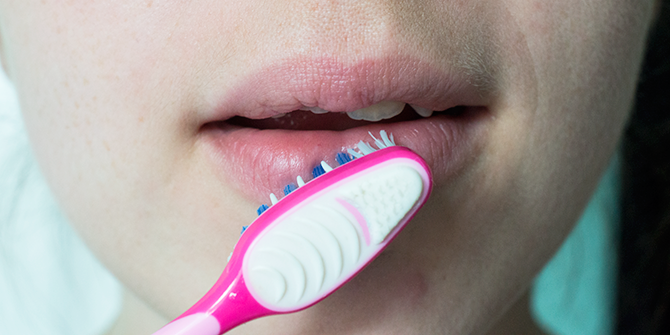 Before applying your makeup, start by lighting buffing you lips with your toothbrush to remove any dead skin and then apply a generous layer of lip balm. 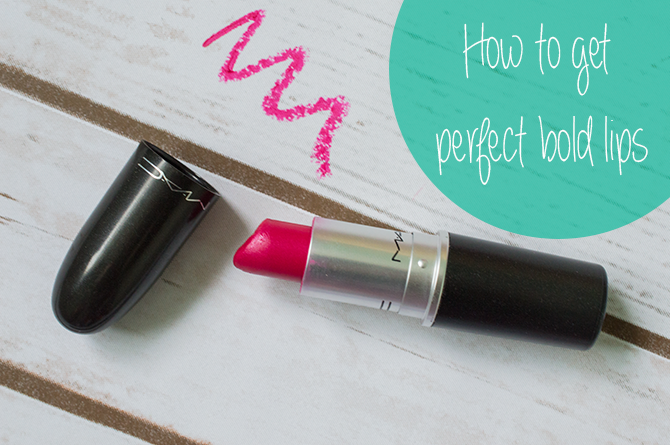 By the time you’re ready to apply your lip colour the balm should have had enough time to really do its thing. Take a lip liner that matches the colour of your lipstick (preferably a sharpened one, unlike mine…) and draw around the natural shape of your lips to give some definition. If you’re looking to make your lips look fuller you can go slightly outside the line, but I tend to stick to my natural lip shape. 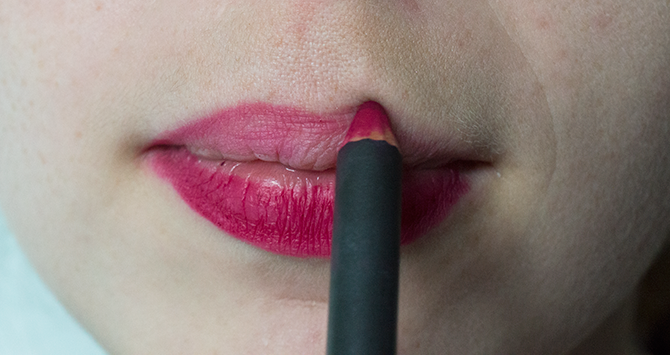 Once you’ve got your line, lightly fill in the rest of your lips with the colour. 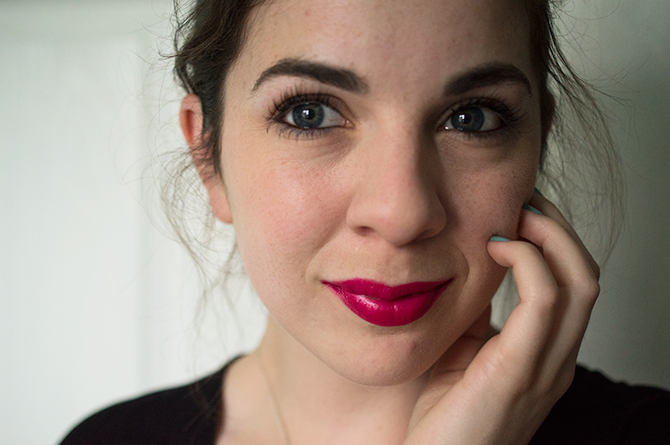 Take a lip brush and use it to apply your lipstick. I’m using a Real Techniques Silicone Eyeliner Brush here (yay for multi-purpose brushes), but you can use whatever you have available as long as it’s fine so you can keep that definition. Once you’ve totally covered your lips in the colour, take a piece of tissue and blot your lips to remove any excess. 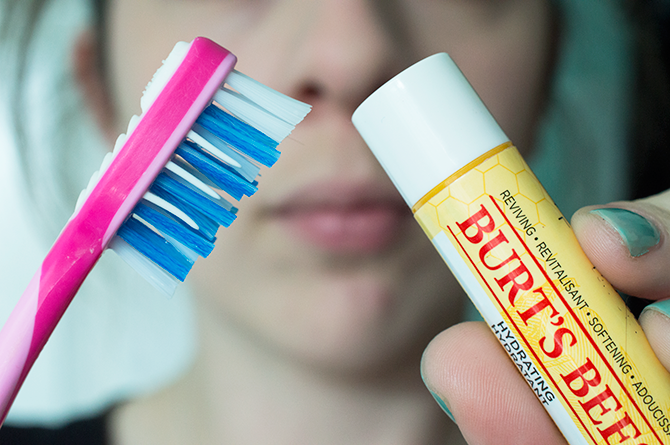 Now here’s the really secret to long-lasting lips. After blotting your lips with the tissue, you should always apply another coat of colour to seal the deal. I like to do this step direct from the bullet because you're not looking for precision here, just a colour boost. But feel free to use a lip brush if you wish.